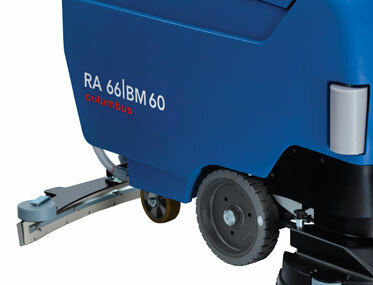 Want to see the Columbus RA66BM60 in action? 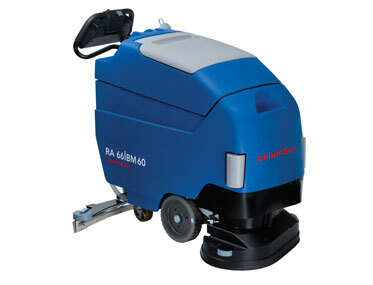 Residue-free cleanliness is ensured even for rough or heavily soiled fl oors, thanks to an adjustable brush pressure of up to 60 kg. 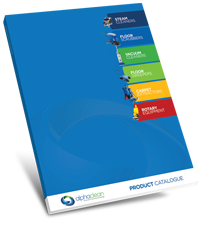 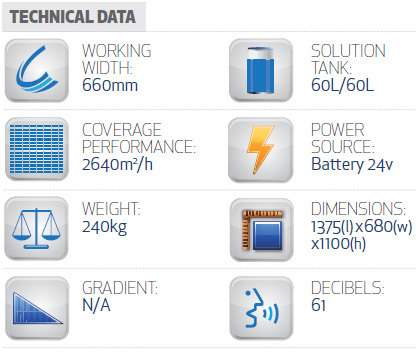 Excellent suction performance with minimal noise: the suction motor has noise emissions of just 61 dB (A); the optional silent version of just 58 dB (A). 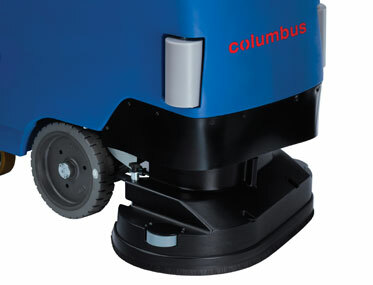 Extremely adaptable: the adaptive brush system sits flat on the floor also on uneven surfaces – and cleans every litt le centimeter with full brush pressure. 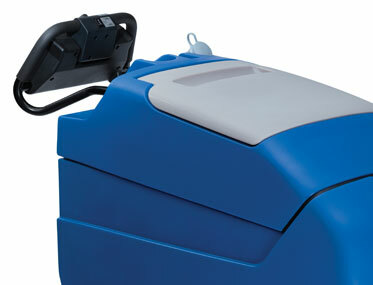 Especially designed for varying needs, this scrubber dryer with traction motor masters every situation and guarantees thoroughly cleaned surfaces of medium and large sizes.